Calvin Klein Beauty - EDP - For Women - 100ml. Health and beauty are two very important matters in our everyday lives. We need to maintain our health as much as possible to be able to live every day to the fullest and with beauty, you can possess the most confidence making you that much more attractive. Many brands strive to help us achieve these two assets by providing medicine and care products for health or makeup and cosmetics for beauty. At Jumia Egypt, you are promised to find the biggest brands for health and beauty products with the fastest results guaranteed. If you’re a woman looking for quality makeup brands, perfume for women along with skin care products, you can find many choices with Jumia Egypt such as aging creams, lipsticks and dermaroller, for example. For men, we also offer skin care products and best perfume for men along that best suit you. Along with toiletries and cosmetics that work both ways and help satisfy all needs for everyone. Jumia Egypt brings you the best and most affordable prices in the online market to ensure you the best experience while you lift your worries away by staying healthy and beautiful. Jumia Egypt makes sure to take care of you and your happiness and that’s why we only seek to provide you with the best brands only. Whether it’s beauty makeup or perfume for men, whether it’s for him or for her, we offer you the biggest category and widest variety online. Shopping for the best products for every skin and body type for a happier you, such as Jojoba oil, for example. 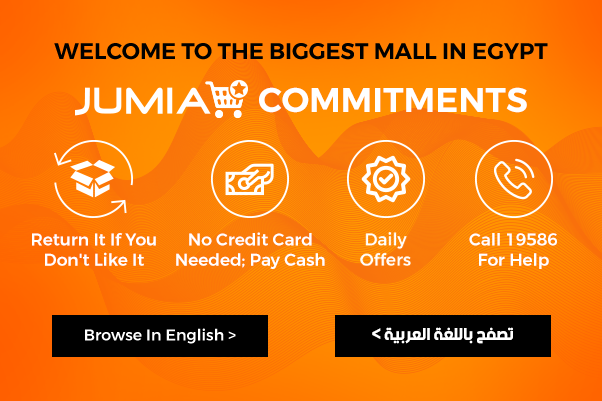 Shop now with just a few clicks and get all your favorite products with secure payments and fast delivery only at Jumia Egypt!